September 22, 2017 – The first satellite in NOAA’s Joint Polar Satellite System is at Vandenberg Air Force Base in California preparing for its upcoming liftoff aboard a United Launch Alliance (ULA) Delta II rocket. Launch is slated for November 10, at 2:47 a.m. MST. Ball Aerospace shipped the JPSS-1 satellite from Boulder, Colorado, to Vandenberg, where it arrived September 1. It’s now at the Astrotech Processing Facility at Vandenberg, where it’s undergoing final steps toward encapsulation in its protective payload fairing. 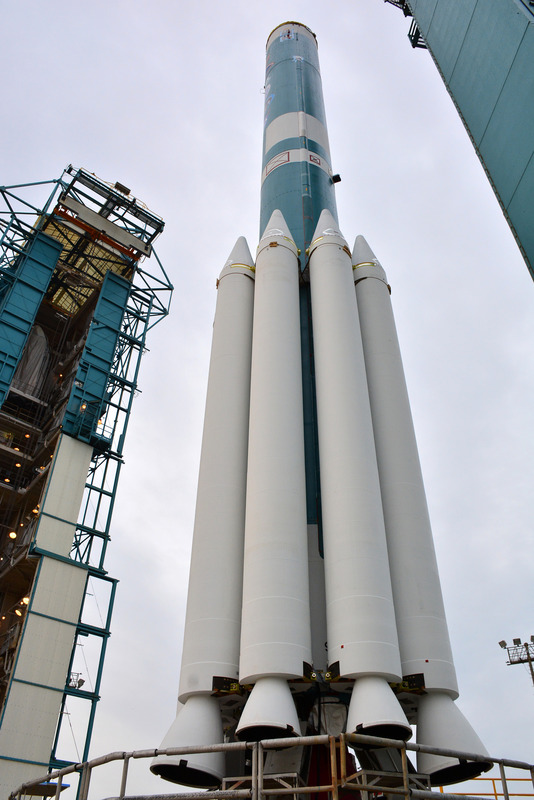 The Delta II rocket is in place at Space Launch Complex-2, awaiting the arrival of the fairing at the launch site.